Kinects wins High Rise Residential of the Year at NAIOP Night of the Stars 2017! Home / News & Press / Kinects wins High Rise Residential of the Year at NAIOP Night of the Stars 2017! 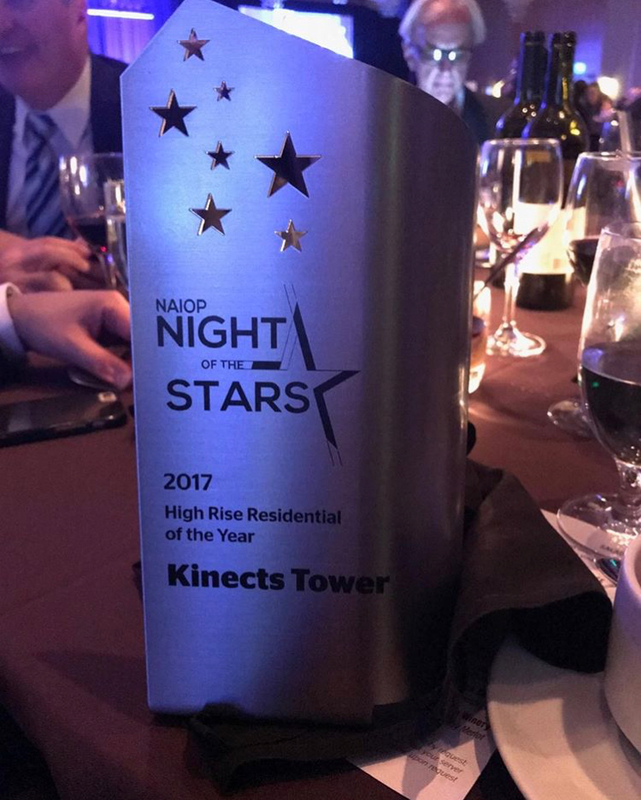 We are very excited to announce that on November 3rd the Kinects Tower project took home the High Rise Residential of the Year award at the NAIOP annual Night of the Stars gala! Each year the NAIOP Commercial Real Estate Development Association (Washington State Chapter) honors exceptional individuals and developments in our community and across the Northwest. We are thrilled to be included on the list this year, well deserved team!